In a very air conditioned backstage camper that contained an equally chilled bucket of Canadian beer at the Toronto Urban Roots Festival (TURF) in July, The Gaslight Anthem were a little more than a month away from the release of their hotly anticipated fifth studio album, Get Hurt. 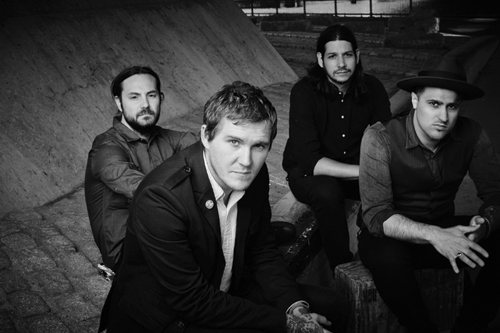 Dressed in black on this day in the sun was band frontman Brian Fallon and lead guitarist Alex Rosamilia, but colourful was their moods as they discussed with Riffyou.com an album that in some ways has the unenviable task of following their nearly-perfect 2012 rock offering, Handwritten. 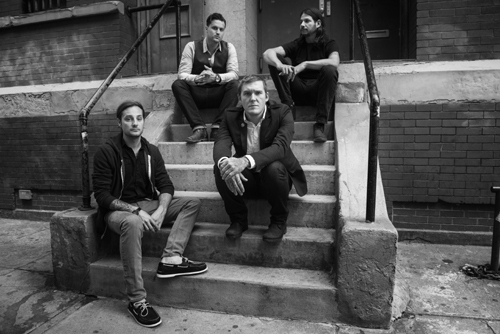 With Get Hurt (due tomorrow, August 12), there is a decided shift in the sonic tendencies that have become associated with the more recent incarnation of The Gaslight Anthem. This time around, there’s a bigger embracing of mid-tempo and slower songs, yet zero abandoning of the band’s ability to provide listeners with a collection of stick-to-you hooks. When the New Jersey crew – which also consists of Alex Levine (bass) and Benny Horowitz (drums) – opts back into their faster-pace rock roots, however, their chops feel sustained yet fresh. If anything, Get Hurt may represent the biggest risk that The Gaslight Anthem has taken to this point. Commercially, it would’ve been very easy for them to put forth an even bigger rock album than Handwritten, if for no other purpose but to continue the wave of momentum it brought to the band. However, that doesn’t seem to be the directive that pushes the needle for the band. Very fan conscious, Fallon says that confidence within The Gaslight Anthem remains high knowing that those who are really into the band are ready for the next phase of it. “[We have] confidence in that we’re not going to mess it up. Like, it’ll be okay regardless of what we do,” explains Fallon. “I think we have a lot of confidence in the fact that we said we were going to write a different record, and that fans really responded to that and were encouraging us. 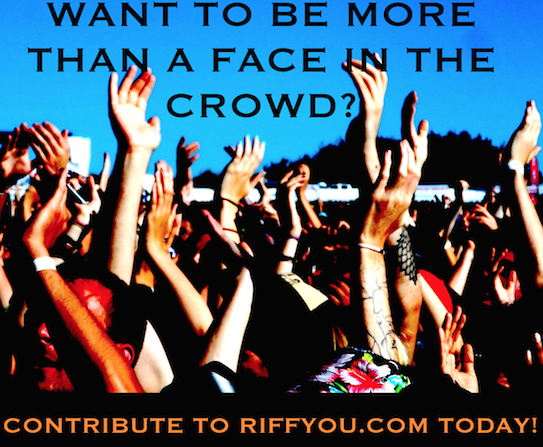 Please be sure to follow us on Twitter @riffyou and at Facebook.com/riffyou.